One part this, three parts that. Cocktail recipes have always read a bit like a computer program. So maybe we shouldn’t find it surprising that someone has created a drink-pouring robot that spits out boozy concoctions with precision. We also shouldn’t be surprised that in this age of start-up funding madness that someone liked the idea enough to invest $2 million in the project. Launched around this time last year, Monsieur—“the artificially intelligent robot bartender”—looks more like a coffee vending machine for alcoholics than, say, Rosie the Robot Maid. But just a few taps on the box’s built-in tablet and the mechanized mixologist will spit out a perfectly proportioned drink. Though the machine has certain limitations a human bartender might not share (it won’t be shaking your drink, for example), the system is completely customizable, and even easily lets users change the strength of drinks. 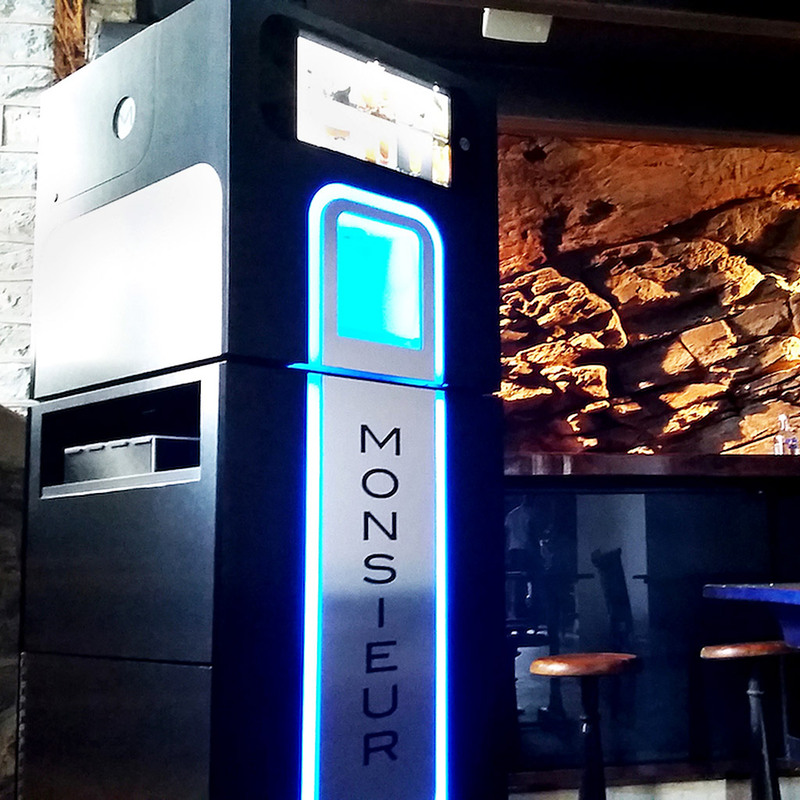 This automated alcohol machine is just the latest example of the tech and start-up sector trying its hand in the bar business. Just last week, Anheuser-Busch announced it is giving robotic beer taps a chance. Though Monsieur seems designed more for high-volume establishments than, say, your favorite craft cocktail bar, you may just want to leave a stool open for your bartender next to you. He might soon need a place to drown his sorrows.